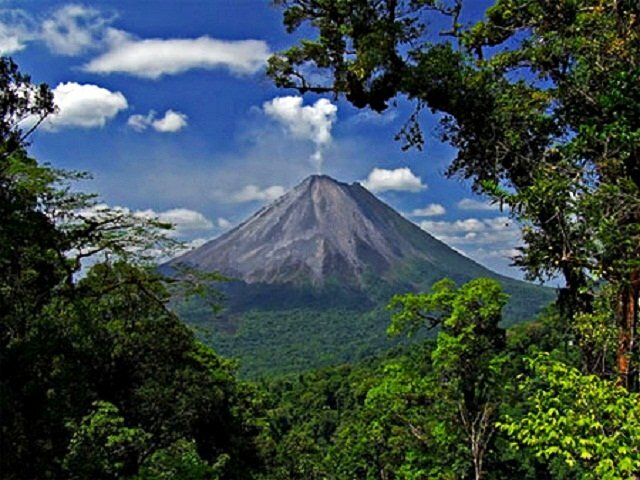 Arenal was Costa Rica’s most active volcano until 2010, and one of the ten most active volcanoes in the world. It has been studied by seismologists for many years. 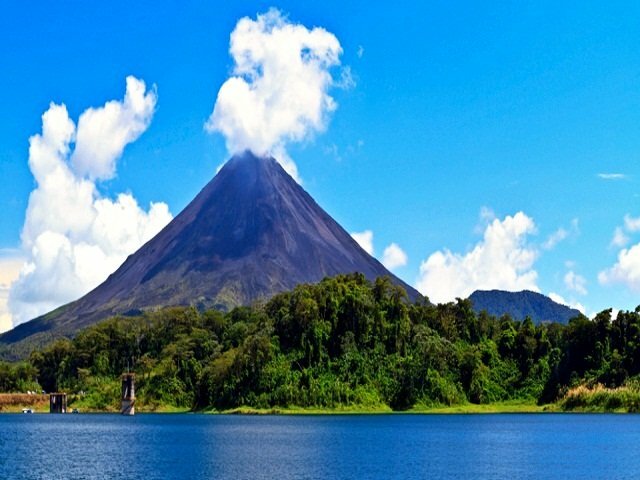 The volcano is located at the center of Arenal Volcano National Park in the northern zone of the country, 15 kilometres (9.3 mi) southwest of the La Fortuna district in San Carlos (canton), Costa Rica. The temperature varies from 9 °C (48 °F) in the high areas to 89 °C (192 °F) in the low areas and the annual rainfall is around 349 centimetres (137 in). 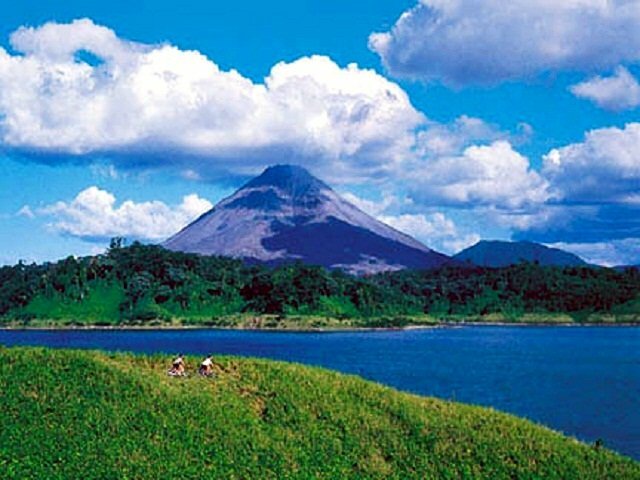 Arenal Volcano area is an important watershed for the Arenal Lake Reservoir. The reservoir’s water is used for hydroelectric power. It is also connected to the national system. 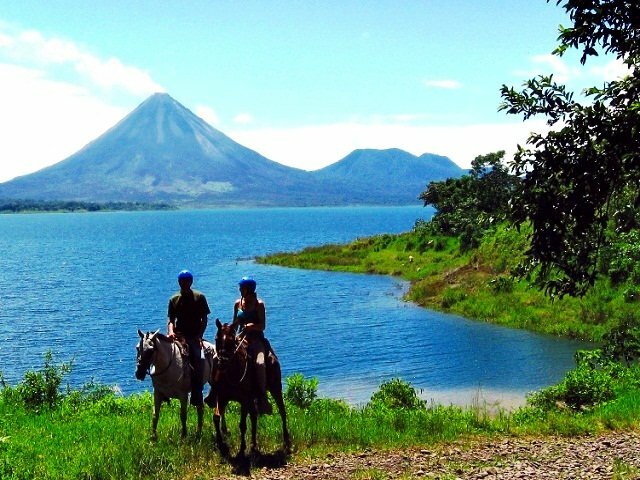 In truth, this national park has two volcanoes – the 5,357-foot (1,633-meter) Arenal Volcano and the 3,740-foot (1,140-meter) Chato Volcano. The latter has been inactive for nearly 3,500 years and has a collapsed crater that contains a picture-perfect lagoon. 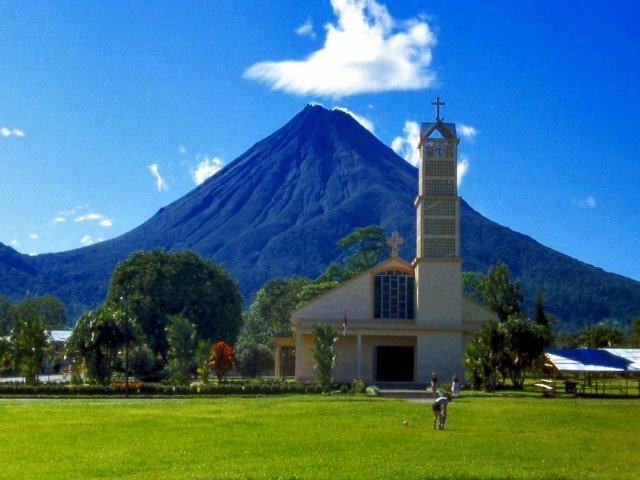 In contrast, Arenal is Costa Rica’s most active volcano, and since July 29, 1968 its lava flows have been consistent. On this day in 1968, three craters burst open along the volcano’s western flank. 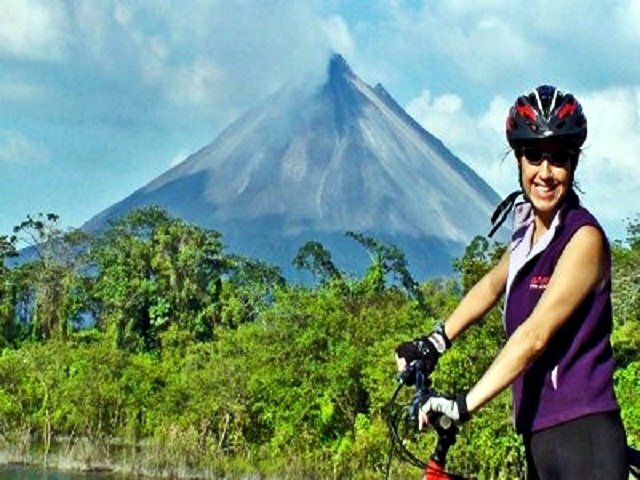 “Crater A” measured 1,000 meters across and set off a pyroclastic flow of toxic gas and hot rocks that spread 12 km, devastating the towns of Pueblo Nuevo and Tabacón. In doing so, it killed 87 people. In September of the same year, “Crater A” began again to emit lava, and remained the most active crater until 1973. In 1973, the eruption activity migrated to “Crater C.” This crater remains active to the present day, and is characterized by lava that is of an andesite basaltic composition, with explosions that contain pyroclastic materials and gas emissions. 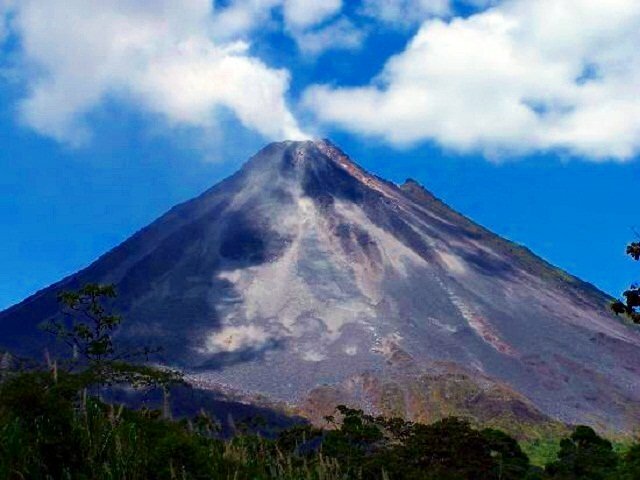 During the days, you can see smoke and cinder blocks billowing from Arenal’s top, while at night you can watch the fiery-red lava pour down its steep sides. The active vent is along the western side of the volcano. 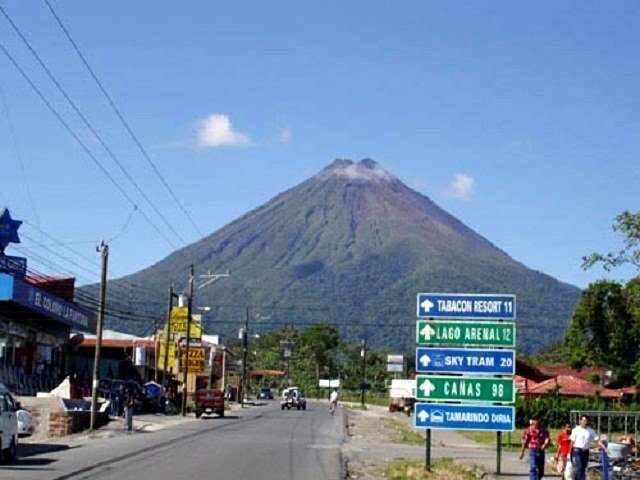 The town of La Fortuna lies within its eastern shadow, meaning that you’ll need to take a trip to the other side to catch a glimpse of the lava. It’s also important to note that on many days clouds obscure the top. Within the national park, short trails (3.4 km and 2 km) pass through both secondary forest and lava fields from previous eruptions. The park rangers keep a close eye on the volcanic activity, and will not hesitate to close trails or portions of the park if they feel that it is unsafe.